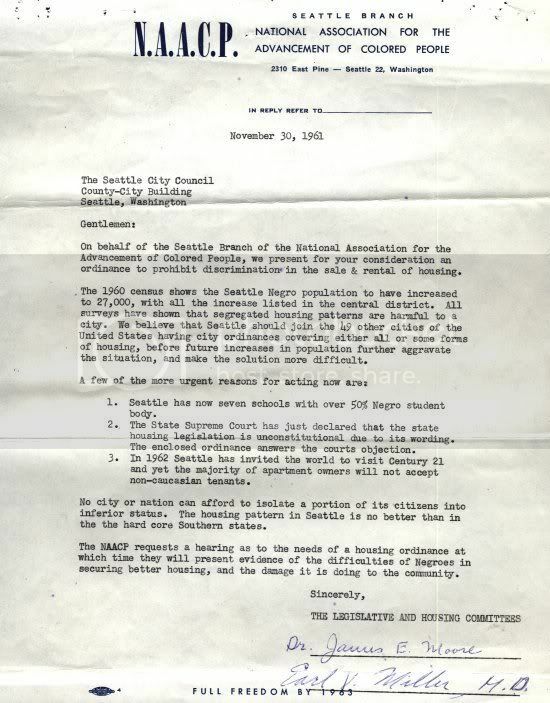 After a series of examples of public protest such as a sit-in and marches through the years 1961 to 1963, the city council finally sent the opening housing ordinance to voters on March 10th, 1964 where it was defeated by a landslide. The next for years, the civil rights movement fought the battle at a national level, with the words of Dr. Martin Luther King’s and other leaders spreading hope through out the country. Today, when we remember Martin Luther King, Jr., we can reflect on the effects his work produced in our own community. 516 13th Ave E, in an apartment complex that no longer exists. become one, our community unified by a “change you can believe in”. This is the Capitol Hill and the Seattle we are familiar with. Asian Americans, as well acts of violence on their homes. 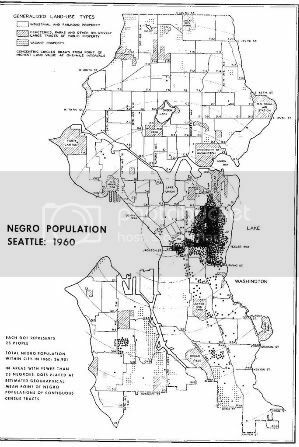 Map of residential patterns for African Americans in 1960 from Segregated Seattle.